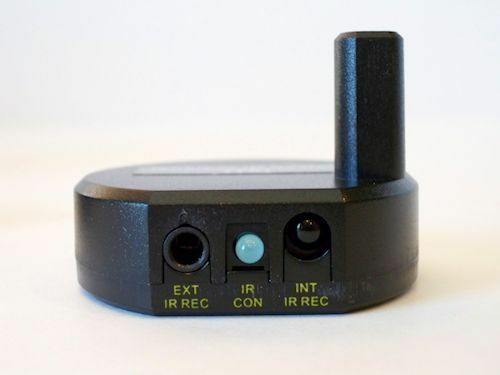 Home :: IR Repeaters IR Extenders :: Wireless IR Repeater Extender System Transmits up to 600 Ft.
Do you want to control Audio and Video Devices that are located in another room? Are you tired of leaving cabinets open so your remote can operate your devices? Why try to hide an old large antiquated wireless design behind your ultra-thin TV. Or worse having it out near your tv for all of your friends to see. Most are unsightly and not very wife friendly. 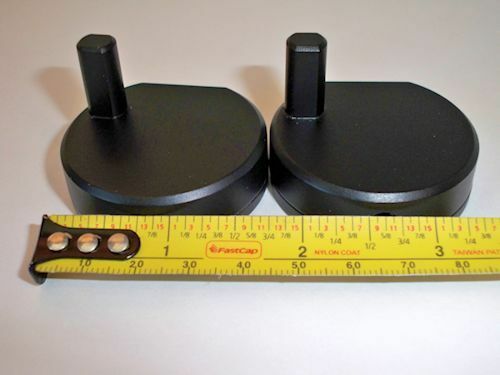 We bring you a long range ultra-small Wireless IR Repeater Extender System. How do we do it? We use the digital 915 MHz RF technology with frequency hopping to minimize RF interference as compared to others using the old 400 Frequency bands that are very noisy and short range. Our devices are easy to use and to easy to install. 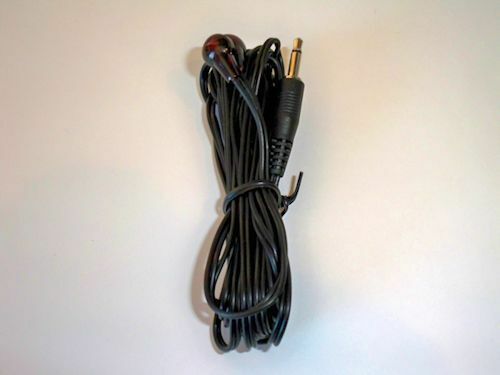 The receiver and transmitter have a few options for easy installation. You can set the Transmitter out near the TV and the built in IR window on it will pick up the signal from your remote and send the command to the Wireless IR Receiver that will control your devices. This is how all wireless units work today. However not everyone wants something sitting out. 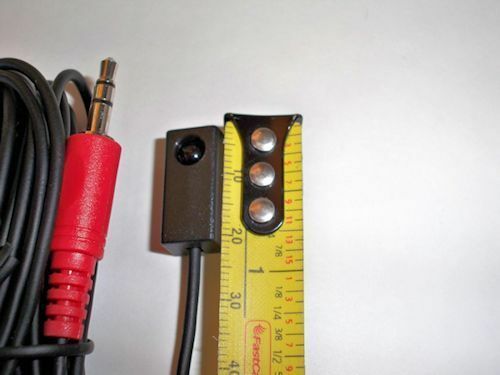 Another option for the transmitter is we have included a very small wired IR Receiver pickup that allows you to hide the Transmitter behind your TV. So all you have to do is put the small pickup where it is in the line of sight to your remote. Then it plugs into your transmitter and will transmit the signal to the receiver. You can set the Wireless Receiver out in the open on top of your devices you are trying to control. When it gets the signal from the Transmitter then it has a built in IR blaster that then floods the area with IR. This is great for inside of cabinets & closets. 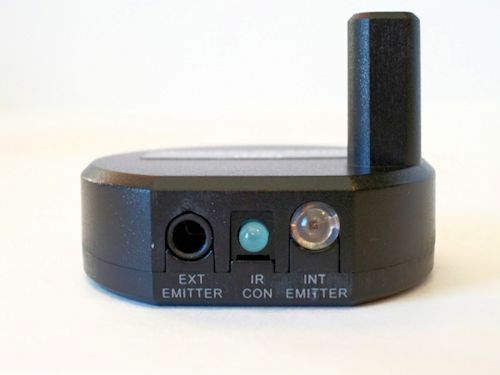 Another option for the receiver is we have included the common Dual IR emitters with our devices. 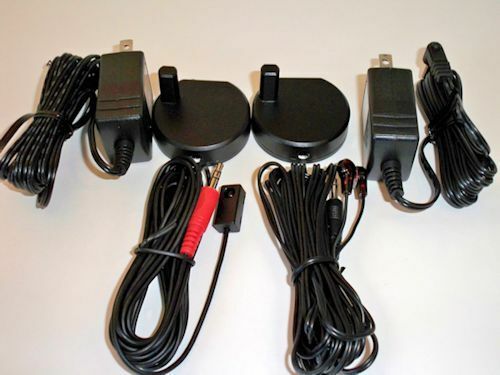 These plug into the in Wireless IR receiver and allow you to place the emitters directly in the event the IR blaster is having a challenge reaching your device. No one else has anything like this. If we you compare you will find that ours is the smallest, most feature rich and the longest range on the market. Easy to control all of your home entertainment system over 600 ft. away. Dual frequency 20 to 60 KHz.